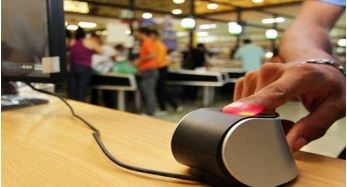 Socialist President Nicolas Maduro of Venezuela has announced a mandatory fingerprinting system in supermarkets to combat food shortages and smuggling. He said the system would stop people from buying too much of a single item. In announcing the plan August 22, Maduro did not say when the system would take effect, but other administration officials suggested it could be in place by December or January. But the opposition in Venezuela rejected the plan, saying the policy treated all Venezuelans as thieves. Critics said fingerprinting consumers of staple products was tantamount to rationing and constituted a breach of privacy. Up to 40% of the goods which Venezuela subsidizes for its domestic market are smuggled to Colombia, where they are sold at much higher prices, the authorities say. “The amount of staples smuggled to Colombia would be enough to load the shelves of our supermarkets,” Gen Efrain Velasco Lugo, a military spokesman, told El Universal newspaper earlier this week. The opposition blames what it says are the failed left-wing policies of the past 15 years – initiated by late President Hugo Chavez – for the country’s economic crisis. Dissatisfaction with the shortage of many staples, as well as rampant crime and high inflation, led thousands of people in the western Venezuelan states of Tachira and Merida to take to the streets in January. The protests quickly spread to the rest of Venezuela, which faces similar problems. In the beginning of August Venezuela launched an anti-smuggling operation on its border with Colombia. It deployed 17,000 troops along the border and began closing all the crossings at night. The one-month ban will be lifted in mid-September. The decision to close the border was agreed with Colombia, where the smuggling of cheap goods from Venezuela is also seen as a major problem. The Colombian government says it leads to a big loss in taxes, with complaints of unfair competition faced by local businesses. As of January 2014, more than a quarter of basic staples were out of stock in Venezuelan stores, according to the central bank’s scarcity index. 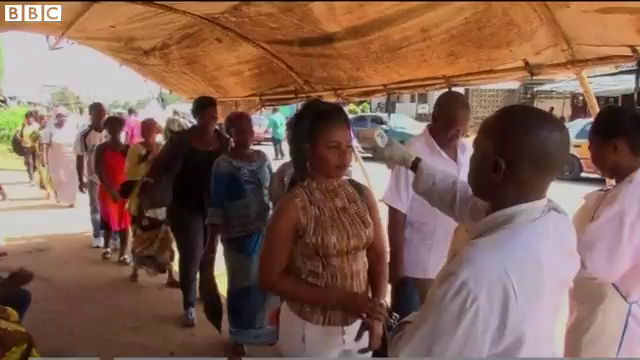 FREETOWN – The government will restrict residents to the areas around their homes for three days from Sept. 19 in a bid to halt new infections and help health workers track down people suffering from the disease, the information ministry said on Saturday. Sierra Leone’s deputy information minister, Theo Nichol, said the three-day shutdown would make it easier for medical workers to trace suspected cases. The period may be extended if needed, he said. A presidency official had earlier said the lockdown would last for four days. The planned lockdown drew mixed reactions on the streets of Freetown, Sierra Leone’s seaside capital. Some welcomed moves to take action but many worried they might run out of supplies if confined to their homes for too long. “This will affect us greatly because we do not have the means to stock up on food for three days,” said Fatmata Koroma, a customer at Freetown’s Aberdeen market. Information Minister Alpha Kanu told residents to start preparing for the lockdown immediately and said the country’s dire situation meant that some rights and liberties had to be sacrificed for the good of the nation. “We did it during the war….people found a way of surviving,” he said. 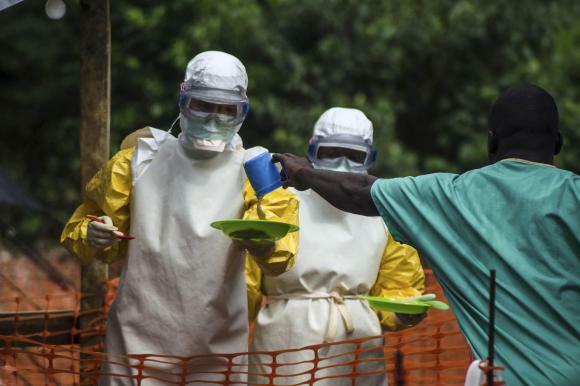 Sierra Leone’s proposed countrywide “lockdown” will not help control an Ebola outbreak and could lead to the disease spreading further as cases are concealed, medical charity Medecins Sans Frontieres (MSF) [aks “Doctors Without Borders”] said on Saturday. “It has been our experience that lockdowns and quarantines do not help control Ebola as they end up driving people underground and jeopardizing the trust between people and health providers,” MSF said. “This leads to the concealment of potential cases and ends up spreading the disease further,” added the group, which has been helping fight the world’s biggest outbreak of the disease across West Africa. MSF said door-to-door screening required a high level of expertise and, even when cases were found, there was a lack of treatment centers and other facilities to take them to. Although Sierra Leone has recorded significant economic growth in recent years since it started exporting iron ore, the country is still struggling to rebuild after tens of thousands of people died during a conflict during the 1990s. The Ebola outbreak has swamped hospitals and killed doctors, highlighting how weak its healthcare systems remain. MSF reiterated its calls for nations with civilian and military biological-disaster response capacities to send equipment and teams to West Africa. “This remains our best hope of bringing this deadly outbreak under control as quickly as possible,” it said. The British government plans to offer Scotland more financial autonomy in the coming days as polls predict a very close vote in the upcoming referendum on Scottish independence. British Chancellor George Osborne told BBC on Sunday that the government is finalizing plans to give Scotland “much greater” fiscal and tax autonomy and will unveil the proposals in the coming days. He spoke after polls showed a tightening of the vote ahead of the landmark September 18 referendum on whether Scotland should become independent from Britain. The latest surveys show those who favor independence gaining ground despite British government warnings about possible pitfalls. He said Britain’s three main political parties understand Scottish voters want more autonomy and that the new proposals would be substantive. Scottish Deputy First Minister Nicola Sturgeon said the British government’s “Better Together” campaign seemed to be “engulfed in panic” as the competition for votes tightens. She said that if the British government was serious about giving Scotland more financial powers it would not have waited until two weeks before the referendum. “Better Together” campaign leader Alistair Darling told the BBC the findings were a “wake-up call.” “The polls may conflict,” Darling said. “But the message I take from them is clear – if you want Scotland to remain part of the UK family you have to vote for it on 18 September. Separation is forever. b) Watch the video under “Resources” below. 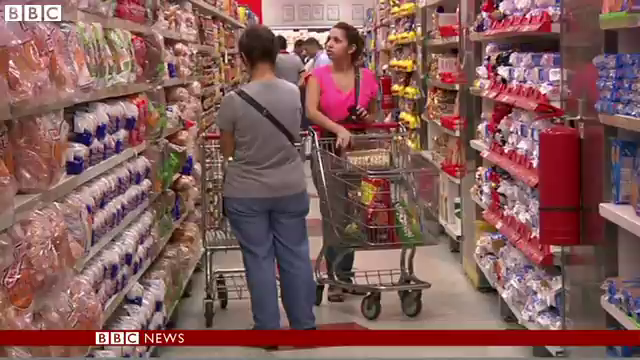 How do the shoppers view socialist President Maduro’s plan? b) Why does MSF (Doctors Without Borders) oppose the government’s decision? Be specific. c) Why did some people interviewed in Freetown say they opposes the lockdown? b) Define autonomy and referendum as used in the article. c) How did Scottish Deputy First Minister Nicola Sturgeon react to the British government’s announcement that Britain would give Scotland more financial autonomy? d) What is the date of the referendum on Scottish independence? 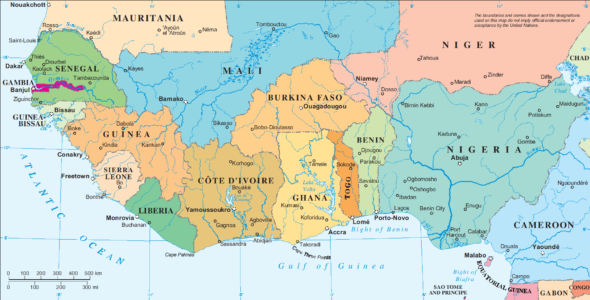 An Ebola outbreak that was first identified in Guinea in March has since spread across much of Liberia and Sierra Leone. Cases have also been registered in Nigeria and Senegal and the World Health Organization says more than 2,100 people have died. More than six months into the crisis, weak government health systems are still failing to get a grip on the disease, one of the deadliest on the planet. Having entered into a personal union with the kingdoms of England and Ireland following James VI’s succession to the English and Irish thrones in 1603, Scotland subsequently entered into a political union with England on 1 May 1707 to create a single Kingdom of Great Britain. This union resulted from the Treaty of Union agreed in 1706 and enacted by the twin Acts of Union passed by the Parliaments of both countries, despite popular opposition and anti-union riots in Edinburgh, Glasgow, and elsewhere. Great Britain itself subsequently entered into a political union with Ireland on 1 January 1801 to create the United Kingdom of Great Britain and Ireland. Scotland’s legal system has remained separate from those of England and Wales and Northern Ireland, and Scotland constitutes a distinct jurisdiction in public and private law. The continued existence of legal, educational and religious institutions distinct from those in the remainder of the UK have all contributed to the continuation of Scottish culture and national identity since the 1707 union. In 1999, a devolved legislature, the Scottish Parliament, was reconvened with authority over many areas of home affairs following a referendum in 1997. In May 2011, the Scottish National Party won an overall majority in the Scottish Parliament. As a result, a referendum on independence will take place on 18 September 2014. Scotland has limited self-government within the United Kingdom as well as representation in the UK Parliament. Executive and legislative powers have been devolved to, respectively, the Scottish Government and the Scottish Parliament at Holyrood in Edinburgh. The United Kingdom Parliament retains power over a set list of areas explicitly specified in the Scotland Act 1998 as reserved matters, including, for example, levels of UK taxes, social security, defenSe, international relations and broadcasting. Read a commentary on the possibility of Scotland becoming independent of Great Britain at: reuters.com.